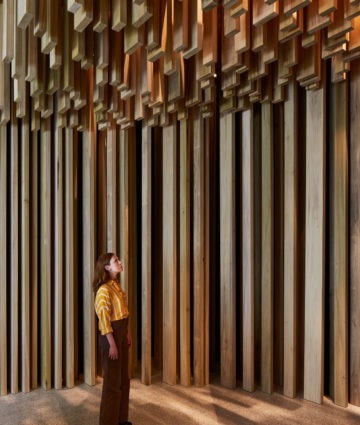 Sclera, originally commissioned for the London Design Festival, is one of the seven projects presented in the exhibition David Adjaye: Making Memory at Design Museum London. 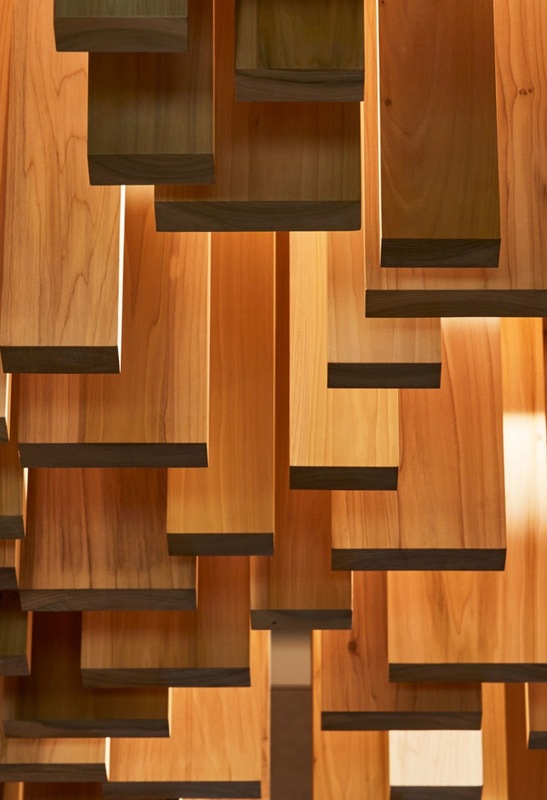 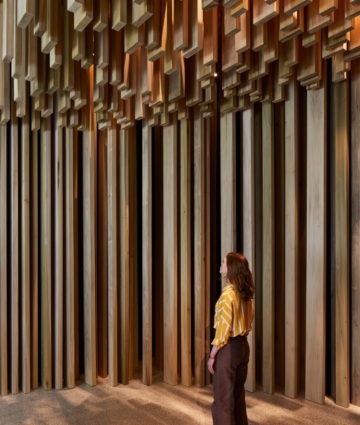 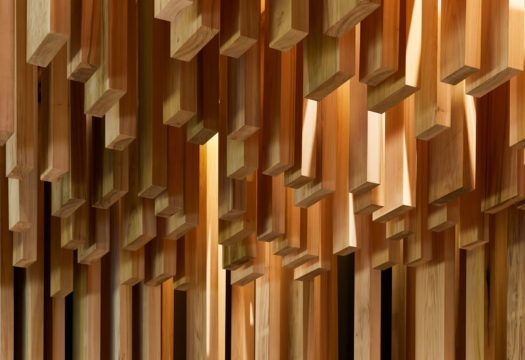 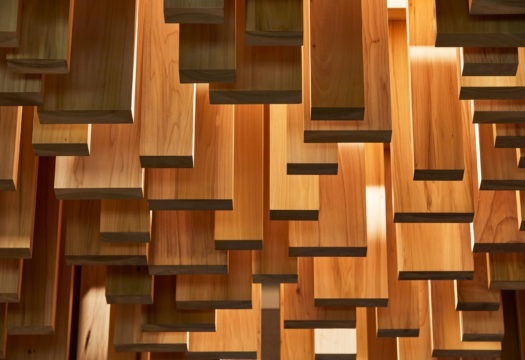 A fragment of the installation presented for the first time in 2008 by American Hardwood Export Council and Sir David Adjaye, is part of the exhibition with which the architect explores the dynamic role of monuments and commemorative works in the 21st century. 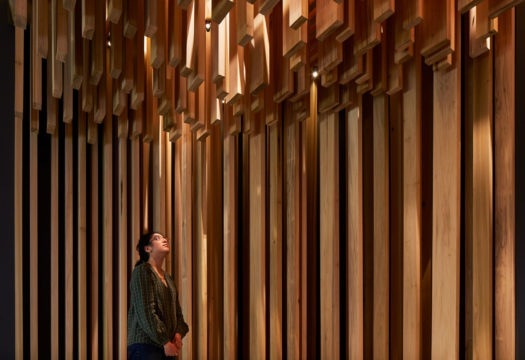 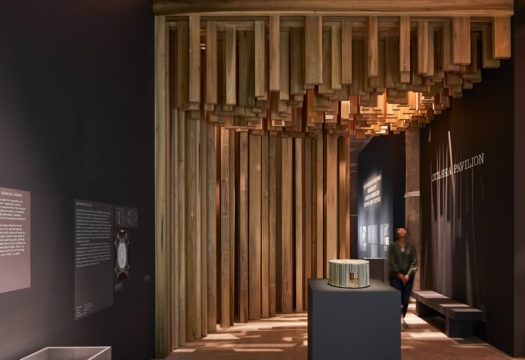 The piece on view at the Design Museum, replicated on the basis of the original drawings, measures 4.5×3.4 m and invites visitors to explore the look and feel of American tulipwood.